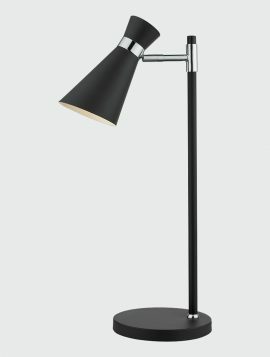 The Ashworth table lamp has a soft, matt black finish with stylish chrome detailing. This distinctive bonnet shaded table lamp has sharp lines and oozes sophistication, with an adjustable head that can be angled to illuminate specific spaces or to create a mood lighting atmosphere. It has a black braided cable with an in-line rocker switch. 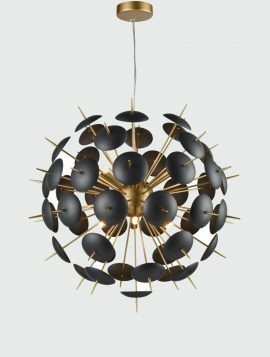 The Dandy 6 light pendant is a unique light in a matt gold finish with matt black discs. 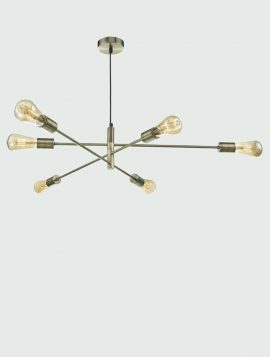 This light certainly adds a wow factor to any living space and is very unusual, the gold colouring gives a warm glow and the black adds a classy look. 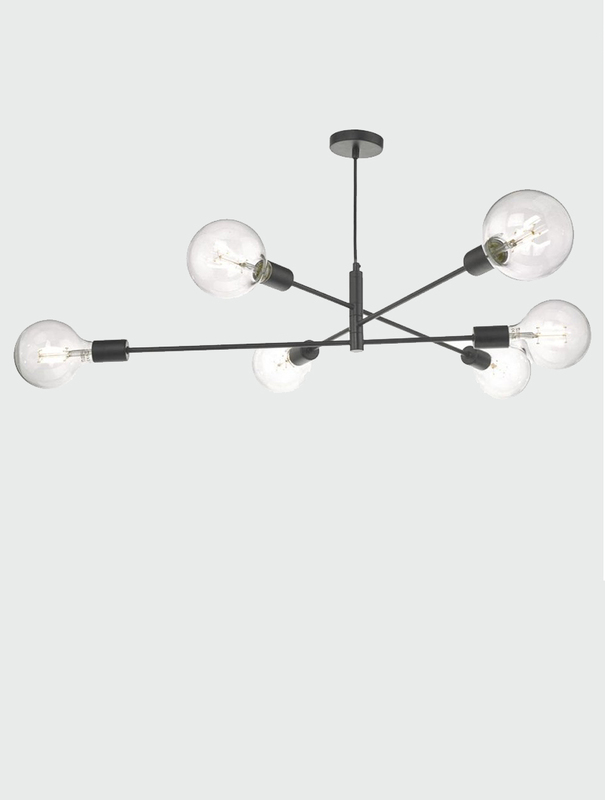 Use dimmable lightbulbs for lighting levels you can control. Also available in: 12 Light. 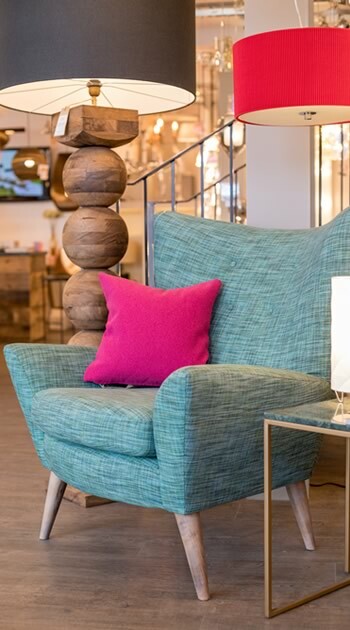 The Arc floor lamp has a contemporary black marble base with a stylish matt grey curved stem, allowing you to use this behind a sofa or near a dining table. 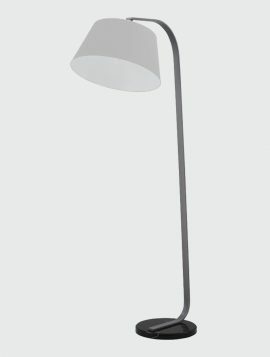 This floor lamp comes with a tapered grey shade and a push foot switch. Also available in: Black Marble with Black Shade. 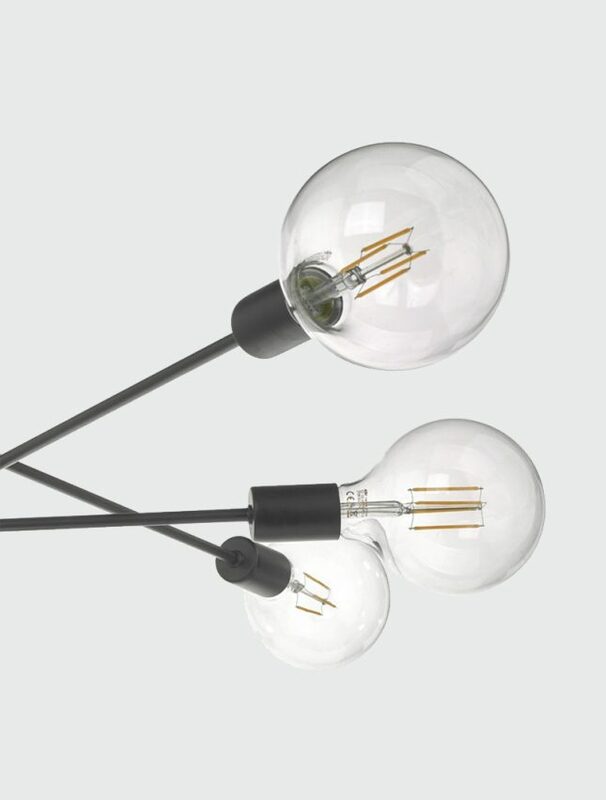 Complete the look with Arc Extendable Floor Lamp and White Marble Floor Lamp.